Fear grips the residents of Hidden Falls the night Sonia Feldman and her best friend, Gretchen Meyer, are attacked in the woods. Sonia was lucky to escape with her life, but Gretchen’s body is discovered at the bottom of a waterfall. Beautiful, popular, and seemingly untouchable, Gretchen can’t be gone. Even as Sonia struggles with guilt and confusion over having survived, the whole town is looking to her for information…could she have seen something that will lead the police to the killer? At the top of the list of suspects is Gretchen’s ex-boyfriend—and Sonia’s longtime enemy—Marcus Perez. So when Marcus comes to Sonia for help clearing his name, she agrees, hoping to find evidence the police need to prove he’s the killer. But as Gretchen’s many secrets emerge and the suspects add up, Sonia feels less sure of Marcus’s involvement, and more afraid for herself. Could Marcus, the artist, the screwup, the boy she might be falling for have attacked her? Killed her best friend? And if it wasn’t him in the woods that night…who could it have been? I love who dunnit mysteries so I was more than eager to read Take the Fall by Emily Hainsworth and I was hooked from the very first page. I never quite knew who could be trusted! Our MC is Sonia Feldman and everyone she seemed to come in contact with I considered a suspect, I had no idea who could be trusted which I loved. Sonia lives in Hidden Falls, on a fateful night she was attacked in the woods but managed to escape with a few cuts and bruises, her best friend Gretchen Meyer who Sonia had dropped at home earlier was not so lucky and was found dead at the bottom of the waterfall, an event which sends the whole town into turmoil as they try to determine who would attack Sonia and kill popular Gretchen. Number one suspect is Gretchen’s ex-boyfriend and Sonia’s enemy Marcus Perez but when he approaches Sonia for her help in clearing his name she is torn about whether to trust and help him out or turn a piece of evidence she has over to the police. I enjoyed Sonia and Marcus’s interactions, I was really eager to know why there was so much animosity from him towards her so I was surprised when we find out; I came to enjoy their friendship and the way they helped one another to find out who the murderer was. As I mentioned everyone to me was a suspect, including Gretchen’s family and Sonia’s friends; as information emerges and threats are made lines are blurred about everyone’s motives. I was so immersed in Emily Hainsworth’s storytelling that I couldn’t put this book down, I was anxious to know who the killer was and in the end I guessed completely wrong! what a huge surprise. 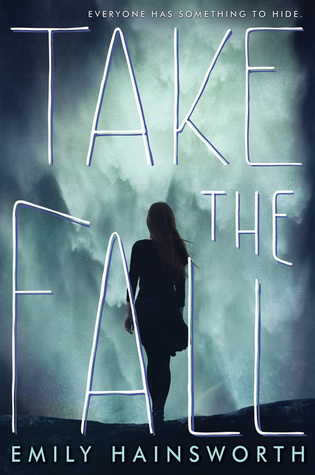 Take the Fall was edge of your seat gripping, it was thrilling and filled with many moments that I didn’t expect; Sonia did make a few silly decisions but she was eager to find out who had killed her childhood best friend so I could forgive her careless moves. Emily Hainsworth’s writing is gripping; you get a real sense of the emotions and the imagery in her detailed story-telling which I love. Overall, beautifully written, Take the Fall moved me, shocked me and entertained me; I will definitely be picking up more books written by this author. About the author: Emily Hainsworth was raised in Syracuse, New York, until she fell in love and fled its gray skies for the sunny Rocky Mountains. Before she started writing full time, she worked as a turndown maid at a fancy golf club, scooped poop at a dog boarding kennel, worked retail in an upscale pet boutique, and owned a dog grooming business. She currently resides in Denver with her family. 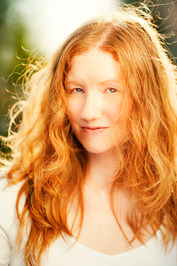 Emily's debut novel, THROUGH TO YOU, a romantic sci-fi thriller, was published in 2012 by Balzer+Bray/HarperCollins. It was on the Fall 2012 Kids Indie Next List, received a starred review from VOYA magazine, was translated into nine languages, and was optioned for film by Paramount Pictures. Her second novel, TAKE THE FALL, is a suspenseful YA thriller about a girl trying to understand why she escaped murder when her best friend didn’t. Available 2.16.2016. This one sounds like a good read :) I love whodunnit mysteries too, particularly when no one seems trustworthy and they keep you on the edge of your seat - sounds like this one fits the bill!